Home Home Insurance What Is Earthquake Insurance? Should I get Earthquake Insurance? If the question is earthquake insurance, the short answer is “maybe”. Earthquake insurance is not covered by a home insurance policy, and can be incredibly expensive for very little payout. Just like with any other form of insurance, you’re essentially gambling that you won’t suffer a loss; but unlike fire or homeowner’s insurance, for example, your buy-in for earthquake insurance is very high. 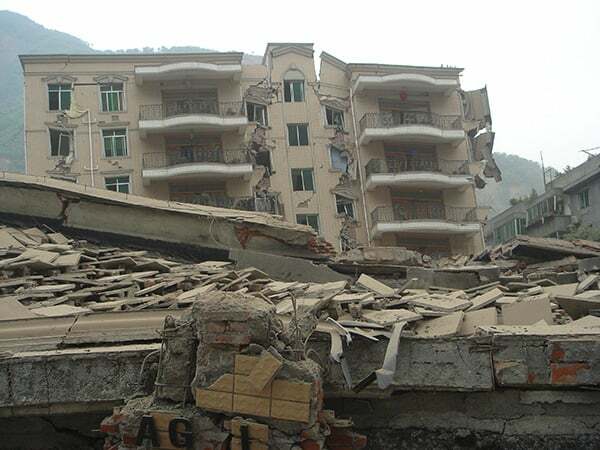 Damage caused by earthquakes can be widespread and extreme. Because of its unique nature, earthquake damage can cost insurance companies vast sums; the 1994 Northridge Earthquake in California is rumored to have cost the insurance industry $12.5 billion in claims. Why Can Earthquake Insurance Be Expensive? Since insurance companies worry that a serious earthquake will cost them dearly, they pass that worry on to their customers in the form of high premiums and deductibles. Unlike with other types of insurance, the deductible on an earthquake policy is typically a percentage of the overall coverage on your structure, not a number you choose yourself. In states where the risk of earthquake is low, that percentage will be lower – as low as 2% in some states – but it is can run as high as 15%. In instances where the deductible is that high, you will probably be facing total destruction of your home before the insurance company pays out to you at all. Newer homes – particularly in high-risk areas – are built with flexible wooden frames and bolted to the foundation, and residents can educate themselves on how to further protect their dwelling and their families in the event of a serious quake. For many, the cost far outweighs the potential benefits. As a result of this cost, many people have opted not to carry earthquake insurance, adopting an “it probably won’t happen to me” mentality. The California Earthquake Authority estimates that ninety percent of California residents don’t carry earthquake insurance, despite the high earthquake risk in the state. For many, the risk of seismic activity is less than the risk of feeling fleeced by high premiums and payouts they may never see. Are you at risk for earthquake damage? Your risk depends on your location (you’re more likely to see an earthquake in California than New Jersey) but even specific location within those high-risk zones can affect your risk of loss as well. For example, a house built on a foundation of sand (like on a beach) as opposed to concrete (like in a city) would be more likely to suffer greater damage, due to the instability of the ground. In addition, older houses with weaker structural walls or foundations may take a bigger hit in an earthquake. Unlike flood or fires, which tend to follow reasonably predictable patterns, earthquakes are not always as easy to predict. An area that has had no seismic activity in decades may be quiet forever, or it may just be storing up energy for the next big quake. Virginia and Oklahoma have both had devastating – and utterly unexpected – quakes in the last few years. New faults are being discovered all the time…and until they shake the earth, there’s no way to know they’re there. Knowledge, as they say, is power. If you know you’re in a risk zone for earthquakes, you can take steps to mitigate the earthquake risk, and this may affect the cost of your insurance. For example, bracing potentially weak walls, affixing your home firmly to the foundation, or securing valuables against movement may prevent unnecessary damage. In fact, in many instances, people prefer to pay for these mitigating measures instead of paying the high premiums for earthquake insurance. Earthquake insurance doesn’t cover as much as you might like it to. Because of the high deductible, unless your home suffers serious damage, your insurance policy may not even kick in. Many policies also only cover a few thousand dollars’ worth of personal property coverage; although your sofa is unlikely to be damaged in an earthquake, your expensive TV or collection of souvenir pint glasses may be, and the low limits on personal property may not cover everything you want to replace. What doesn’t earthquake insurance cover? Although a policy will cover the dwelling itself, earthquake insurance typically does not cover loss of outdoor structures, landscaping, pools, or fences. It is also unlikely that your policy will cover your more expensive or luxury goods – fine china or crystal, for example – unless it is insured separately. Non-covered losses are not included in the deductible. That means that if your earthquake policy doesn’t cover certain items, the cost of replacing those items does not contribute towards your deductible. The china that came crashing out of your cabinet when the walls moved? Doesn’t help you reach your deductible unless it was insured. This adds another wrinkle to the gamble: in the long run, over-covering yourself may actually make it harder for you to recoup losses in the event of severe earthquake damage. Immediately following an earthquake, some insurance writers may restrict their earthquake coverage. This because aftershocks may follow a larger quake, and many people will want to up their coverage once they realize than an earthquake can, in fact, happen to them. Rather than take on the additional risk associated with aftershocks, many writers will simply refuse or postdate coverage until a reasonable time after the initial earthquake. Approximately two-thirds of the country’s earthquakes happen in California – in the neighborhood of 100 per day – due largely to the fact that the state is crisscrossed with more fault lines than with highways. As a result, many insurance companies stopped offering earthquake insurance altogether because it was simply too risky. When this led to the predictable disastrous effect of people losing everything to earthquakes, California created the California Earthquake Authority, which is a means for California residents to acquire earthquake insurance. Although by law home insurance companies must now also offer earthquake insurance, their policies are sometimes prohibitively expensive or don’t offer enough coverage to be worth the cost.